A premier byway sometimes referred to as Washington’s Big Sur (perhaps Little Sur would be more fitting), the 24-mile curvy route hugs the sheer sandstone cliffs of the Chuckanut Mountains. The only place where the Cascade Mountains meet the sea, Chuckanut Drive overlooks Samish Bay and offers gorgeous views of the San Juan Islands and Chuckanut Bay. Stroll through tulip fields in spring or find a cozy restaurant and feast on fresh shellfish. Search for treasures in shops or for beach glass along the water. Take a hike up past the tree line, or down along a white-sand beach. Chuckanut Drive is one of those byways that will leave you wanting to linger just a little longer. Tiny Bow has four buildings; and they’re all worth a visit. 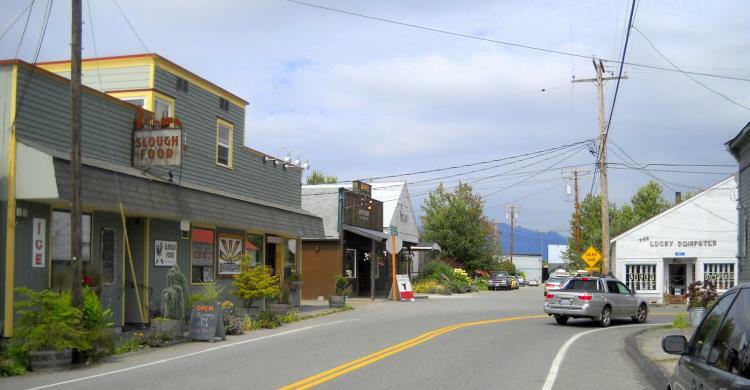 One is home to a renowned artisan cheese maker, one is a quirky junk store, and the third and fourth are an unassuming remodeled house and gas station where you’ll find what are widely regarded as two of the Northwest’s finest restaurants. Enjoy one of the finest hikes on Chuckanut Drive. Oyster fishing and logging were the dominant industries in the Chuckanut area from the late nineteenth to early twentieth centuries. The forest lands of Blanchard Mountain became state trust lands in the 1920s and 1930s, giving the forest a needed respite. Much of the forest on Blanchard is second-growth; logging artifacts can be seen on the trail, and giant stumps inspire imagination about the towering cathedral forests that blanketed the mountain prior to logging. Set on the seaward side of Chuckanut Mountain near Bellingham, Larrabee State Park is known for its postcard views of Samish Bay and the San Juan Islands. 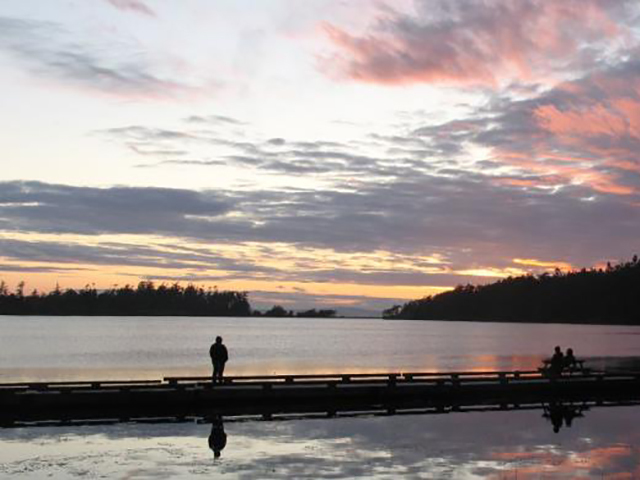 It is also Washington’s first state park.This unique camping park on famed Chuckanut Drive offers access to great hiking, boating, fishing, shellfish harvesting and diving. A ¾-mile hike takes you to the rare sandstone cliffs and teeming tidepools of Clayton Beach. This is the perfect spot for a quiet time out, an exploratory jaunt with the kids or a romantic date. Woodstock Farm is a one-of-a-kind Pacific Northwest venue, beautifully situated with panoramic views of Chuckanut Bay. Woodstock Farm is available for rent for your special event including weddings, family reunions, retreats and memorials. Park access is from dawn to dusk. Buildings at Woodstock Farm are available for viewing by appointment only. 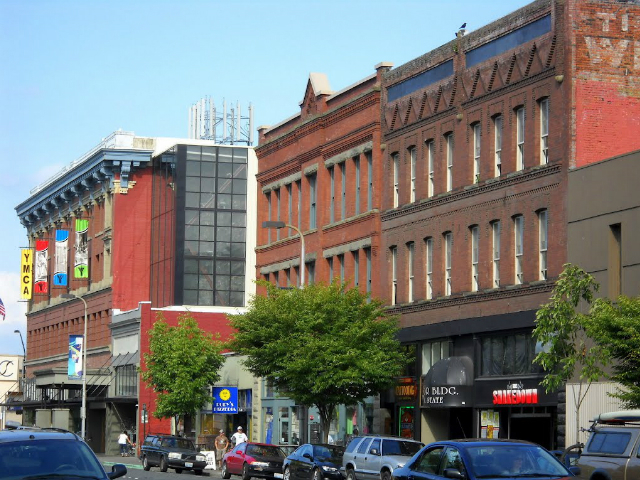 Founded in the 1890s, the Fairhaven district provides a great opportunity to stop and browse. 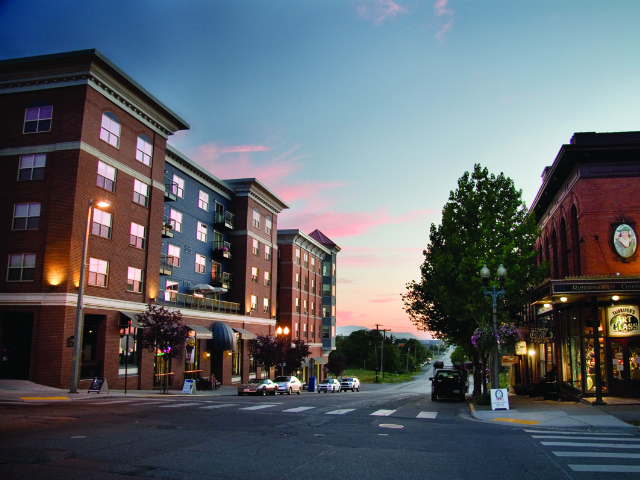 Walk the cobblestone streets of the historic district, with restored nineteenth-century brick buildings now housing bookstores, boutiques and restaurants, and go back to a time when Fairhaven was predicted to become a major city.